Whether you are just beginning to learn English or looking to improve your language and conversation skills, IMG Academy has a fun and engaging learning environment that will help you succeed. IMG Academy’s experienced and highly qualified ESL instructors average more than 20 years of ESL teaching experience around the world. Our programs are designed to help you improve your English proficiency with your individual language goals in mind. This course is designed for those who are at lower levels of English proficiency or who desire to focus on practical English communication. Each of the 3 classes; Integrated Skills, Vocabulary and Discourse and Grammar, offer a self-contained unit of study every week. The EAP course is designed for adults whose English proficiency is currently at an intermediate to advanced level. Each of the three classes, Reading and Writing, Grammar, and Vocabulary and Discourse, prepares participants for entry into US colleges and universities. TOEFL, SAT and ACT preparation is included. Morning (9:00am – Noon) or Afternoon (2:00pm – 5:00pm) courses are offered. 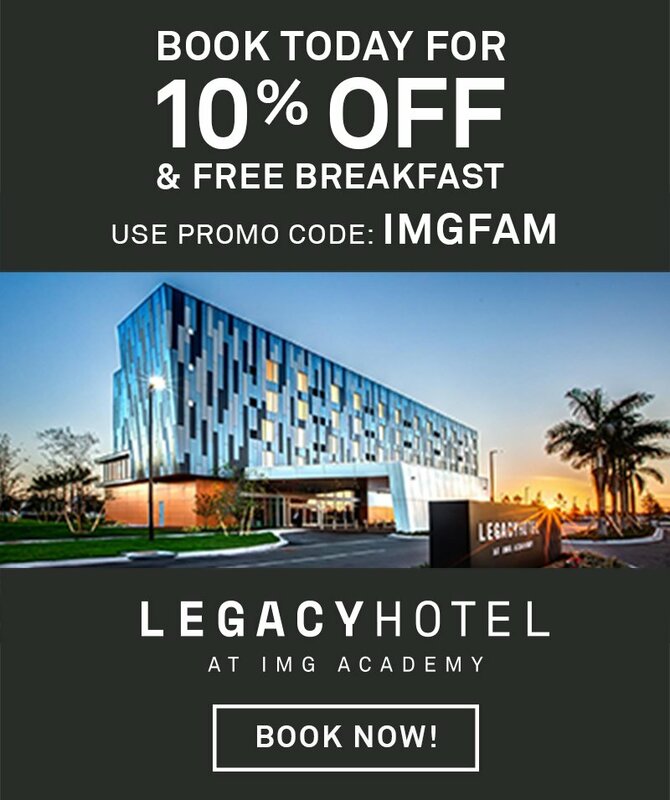 The IMG Academy Language Center offers customized English lessons to individuals ages 16 and older, adult visitors, as well as groups, teams, and organizations. Our Language Center staff works hands-on with participants to set the goals and schedules for the lessons. Book an Adult Camp Now! A perfect option for local campers or for families on vacation in the Sarasota and Bradenton area, many on and off-campus housing options are available for guests and families, including the Legacy Hotel, The Lodge, The Villas, Academy Park Villas, Ritz-Carlton, Holiday Inn Express and Suites and more, including beachfront resorts. What does a typical day/week look like? Campers meet at 9:00 am every morning to preview each day’s activity. Then they go with their teacher by IMG Academy transportation to the location of the field trip. Return to campus will vary according to the activity schedule, length and distance from IMG. Except the days when lunch is included, campers will return to IMG Academy in time for lunch. Campers will then do classroom work every afternoon from 2:00 to 4:45 pm. The cost of the program includes all admission fees and ticket purchases, transportation, leaders or tour guides, at least one lunch and snacks. What should campers bring for the activities? The schedule may need to be rearranged if bad weather prevents campers from being outside. Anyone age 7 and above can participate in the English through Cultural Immersion camp. Parents of young campers may accompany their children if there is space available, but they will need to pay their own entrance fees, tickets and lunches.